To continue on the equine theme. Ingeborg Svarc Lauterstein (left) and Robert Rauschenberg, students at Black Mountain College c.1948-1949. Ingeborg Svarc Lauterstein is dressed as a centaur or unicorn for a party. Costume designed and created by Robert Rauschenberg. 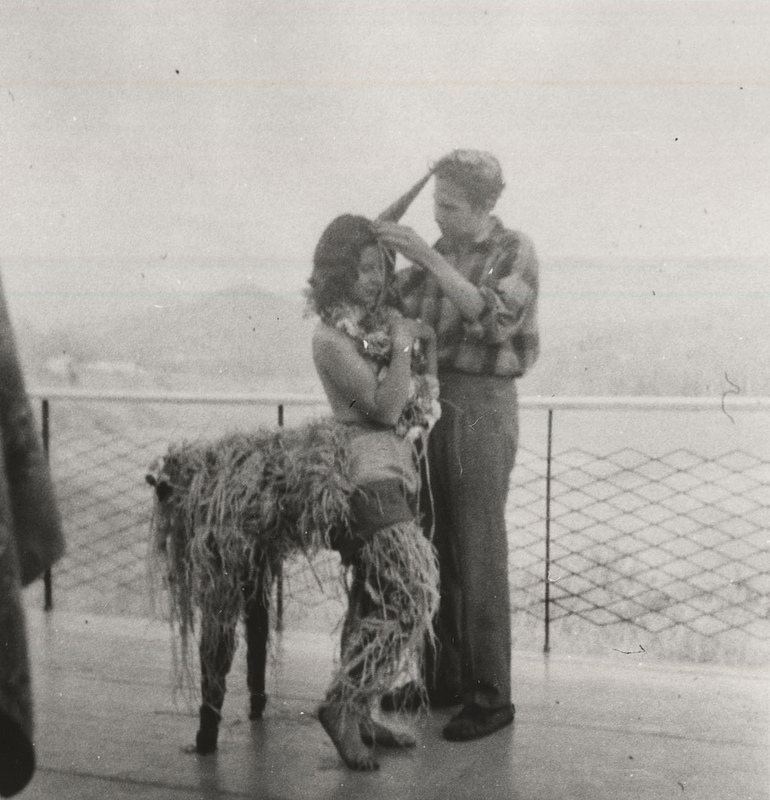 This entry was posted in costume, found photographs, mythology and tagged archive photography, Black Mountain College, centaur, costume, Ingeborg Svarc Lauterstein, Robert Rauschenberg, unicorn by samanthasweeting. Bookmark the permalink.